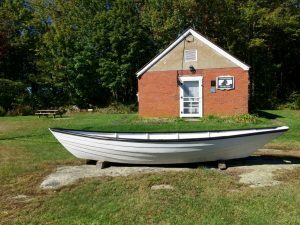 The Friendship Museum, established in 1964, is a museum of local history preserving the artifacts and documents of a traditional seafaring community. The small brick one-room school house of the original museum, measuring only 20 by 25 feet, served as a grammar school from 1851-1923. 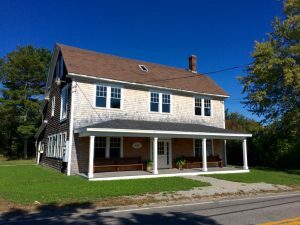 The museum is a typical mid-19th century one-room schoolhouse, measuring 20x25ft. The museum is home to many interesting artifacts, including household items of daily life in bygone years, models of ships, and draft plans for Friendship sloops. Open daily summer afternoons, free admission with your kind donations gladly accepted. 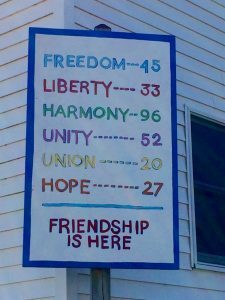 The Friendship Museum, Inc., is a 501(c)3 non-profit corporation. The Museum Annex is located on Harbor Road in the center of Friendship. Renovation is underway behind the updated facade; donations are welcome!